Tusker Project Fame season 3 contestant, Bernard Nganga, known popularly as Ng’ang’alito, is making a comeback after a long hiatus from the music industry. 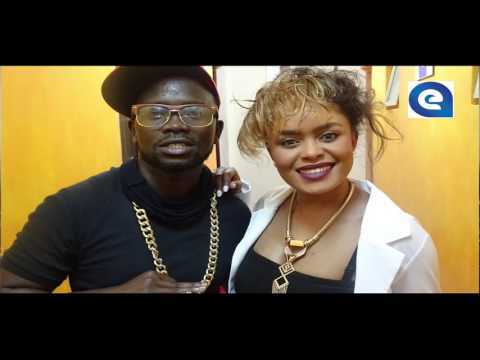 In an exclusive Interview with eDaily, the Nisamehe hit-maker revealed that he is working with Ghipuka singer Kenrazy. “I asked Kenrazy to work with me in the new song. Although he was busy, he accepted my offer when he heard the beats,” Ng’ang’alito said. He revealed that the decision to feature Kenrazy was influenced by Tanzanian music producer, Gill. Ng’ang’alito says Gill heard the song and asked him if Kenrazy would want to partner with him on the track. “The song is titled Nakupenda;it is about ordinary love…the kind any person can relate to,” he said. So, why the long silence? The gifted vocalist says he took time off to focus on personal projects, including farming. Ng’ang’alito added that he needed to refresh his musical content to stay relevant in the industry. Nakupenda is set to be released on Friday July 8. Ng’anga’lito says he’s is back in the industry fulltime, fans should expect more from him before the year ends.